Ready to start browsing laptops? 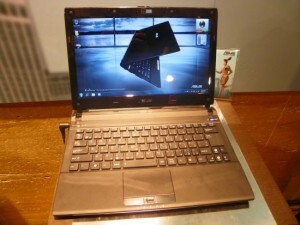 Asus held a special conference to show off its latest device, the U36JC notebook. Well, not just that laptop was announced, there were several other new devices as well, but let’s just say that this notebook stole the limelight. Now, let’s see what the U36JC notebook has to impress consumers. 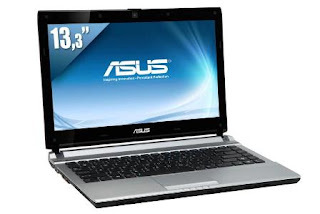 The Asus U36JC notebook features a 13.3-inch display screen with the usual resolution of 1366 x 768 pixels. Like most other notebooks today, it’s a glossy screen. The device is powered by Intel’s Core i5 processor and works on Nvidia’s GeForce 310M graphics with 1GB of DDR3 RAM. Asus’ latest notebook the U36JC is equipped with several connectivity ports like a 4-in-1 card reader, VGA, HDMI, 2 USB 2.0 ports and a USB 3.0. Consumers can choose between the 6-cell and 8-cell batteries as preferred battery life. With a 500GB hard drive, the Asus U36JC comes with a webcam and comes ready with Skype. Asus and Lamborghini have collaborated in the past and seems like the manufacturers are doing it again and this time it’s to release a couple of accessories for the Asus Lamborghini notebook. We all know the laptop from the collaboration and it is indeed a very attractive device. So, let’s see what Asus and Lamborghini are offering for their laptop. 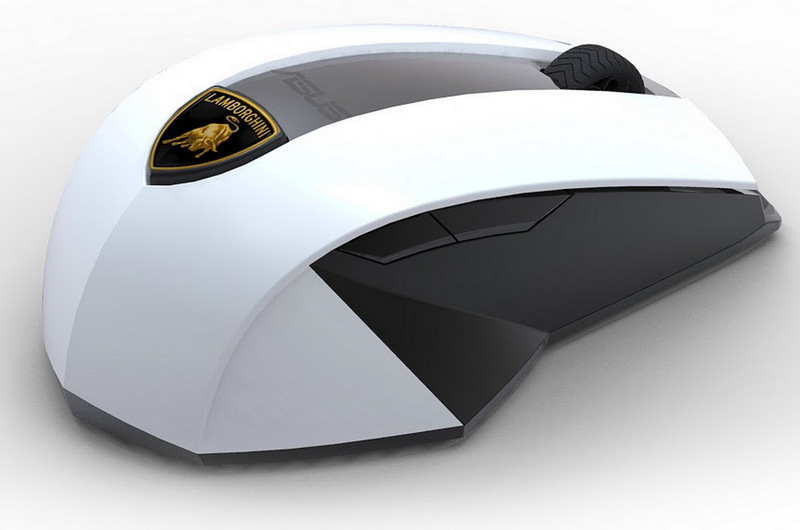 Asus and Lamborghini have released a range of new accessories for its Asus Lamborghini laptop. The new accessories include things that can help protect the laptop such as a Lamborghini backpack, laptop case and a laptop cover. The manufacturers of the Asus Lamborghini laptop have released a range of laptop accessories for their device. Among the items launched are a WX-wireless mouse (with laser precision 10-meter range) and 640GB HDDs, which are designed in a fine gloss scratch-resistant coating. These are available in black and white. Dell’s latest laptop sports a thin profile. The Vostro 130 notebook seems to have the looks, but does it have the features to carry out that look? Let’s check it out. Let’s see whether the laptop priced at $429, targeted for small to medium-size businesses (SMBs), is really worth it. The Dell Vostro V130 is equipped with a range of connectivity options, despite the fact that it comes in a really thin package measuring at 0.65″ in the front to 0.78″ in the rear. Weighting in at 3.5 pounds, the Vostro V130 is available in the colors, Lucerne Red and Aberdeen Silver. 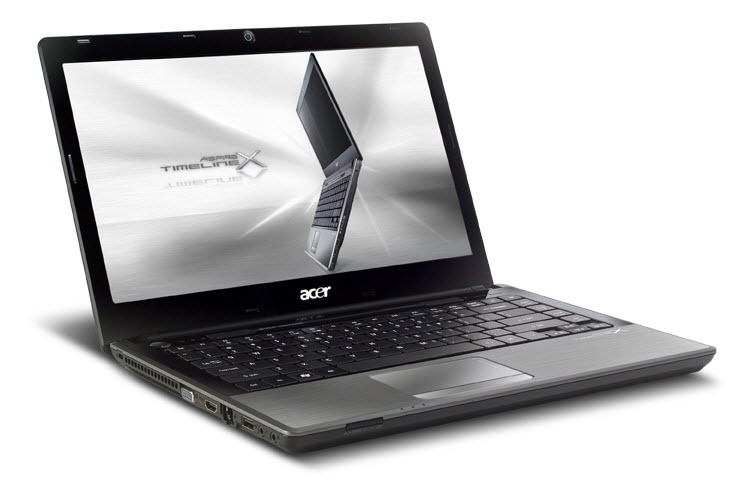 It runs on Windows 7 and is powered by the new Intel Core ULV processor (Core i3 and Core i5). Dell’s Vostro comes with Hyperbaric Cooling, which is an Intel Advanced Cooling Technology that helps the laptop maintain a dignified silence. It features an HDMI port for connection to a High Definition (HD) TV or projector, two USB 2.0 ports, shared USB/eSATA port and VGA. With a 13.3-inch High Definition 1366×768 WLED display, the Dell Vostro V130 is available now in stores. Acer has launched its latest TimelineX laptop, the Aspire TimelineX 4820TG. This one will be targeted at buyers who are looking for a reliable laptop that they can perform their work on. Though, it is not the thinnest laptop around, it still is one of the slimmest around. Acer has recently unveiled its latest offering, the Aspire TimelineX 4820TG. It is powered by a 2.4GHz Intel Core i5 M520 CPU and is equipped with a 4GB of DDR3 RAM. It works on a dedicated ATI Mobility Radeon HD 5650 with 1GB of memory. The Acer TimelineX 4820TG has recently been launched into the market. With a weight of 2.2kg, it runs fast and comes with a battery that can last for three hours and 20 minutes. It comes with a 14-inch LCD screen that has wide horizontal and vertical viewing angles. Overall, the Acer TimelineX 4820TG is a really nice notebook, perfect for those who are constantly on the move. For all those who have been waiting for a new laptop that will challenge Apple’s Macbook Air; looks like the device has arrived. The new Asus U36 is set to heavily challenge the MacBook Air, according to experts. Asus’ U36 is the latest notebook in the market right now. Unlike other laptops sparing the Apple ones, this one is thin and slim. Designed in a magnesium alloy body, this ultraportable laptop measures just 0.75 inches in thickness and weighs not more than 3.5lbs. The Asus U36 laptop is powered by either the newest Intel Core i3 or i5 CPU. Paired with the Nvidia Optimus graphics and Super Hybrid Engine, it comes with a 4-cell battery that can last for about 10 hours. It is equipped with a dual-pipe cooler integrated in the system. The Asus U36 laptop definitely sounds good for those who are looking a nice and fast laptop. So far, no word on when the Asus U36 laptop will be released. Great news for kids; a new tablet has been launched by PeeWee that is set to attract the children of today. The PeeWee Pivot 2.0 tablet is a nice and cute laptop that kids would definitely love. From far, it looks just like these laptop toys that have been released previously for the kids. 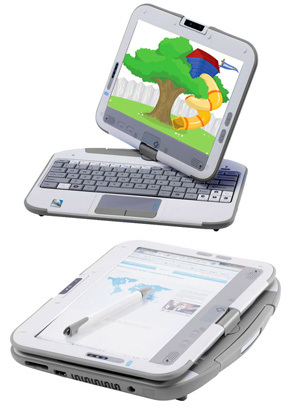 Manufactured by PeeWee PC, the PeeWee Pivot 2.0 Tablet has been made and designed after the Intel-powered Classmate PC. This one comes with a nice and modern touchscreen display that can rotate 180 degrees thus making the screen lie flat on top of its keyboard. It also sort of give a suitcase look to the laptop hence making it a resistive touch tablet that kids would love to carry around. Since the $599 PeeWee Pivot 2.0 Tablet is for kids, we hope the design and features are childproof as well. It’s not that big measuring at 7.6 by 10.5 by 1.2 inches (HWD) and weighting at 3.7 pounds. It comes with a 10.1-inch touchscreen that features a resolution of 1,024-by-600 pixel. This laptop/tablet runs on Windows 7 Starter and is powered by a 1.66-GHz Intel Atom N450 CPU. Maingear has released a strange looking device aimed for those constantly on the road. Based on the picture above, you can see how strange and weird this laptop looks. The Maingear Clutch-13 is powered by an Intel CPU. The Maingear Clutch-13 laptop comes with a 13.3-inch WXGA display that features a resolution of 1366×768 pixels. It can have up to 8GB of RAM and there are other options as well for extra storage. It works on a 1.2GHz Intel Core i3-330UM dual core CPU with Intel HD graphics. It features Wi-Fi, Bluetooth, LAN, HDMI out, eSATA, ExpressCard slot, (4) USB 2.0 ports, Super Multi DVD (CD)/DVD-RW(CD-RW), and an optional Blu-ray drive. It runs on Windows 7. The Maingear Clutch-13 notebook comes with a 4-cell battery Li-Ion battery that can last for about 4 hours. For now, Maingear presents the Clutch-13 for sale via custom order at the price of $1,099.99. 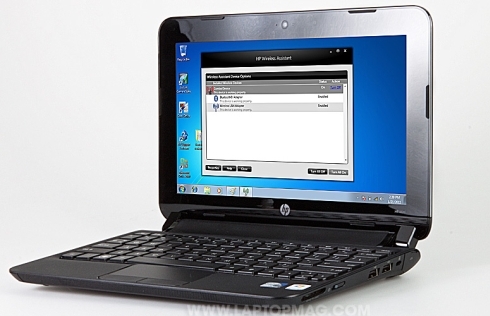 HP has recently launched a new business netbook, the Mini 1103. So what does this new netbook have to offer? Experts claim it is similar to the HP Mini 110/210 series except it has a more business look. On the same line, the HP Mini 1103 is cheaper than these netbooks including HP Mini 5103 business netbook. Of course at this price, one can’t expect the optional HD display, touchscreen, or optional dual core processor. The HP Mini 1103 is available in several configurations. For starters, it comes with Windows 7 Starter, SUSE Linux 11, or FreeDOS. Depending on your choice, it can come with 1GB to 2GB of DDR3 RAM. For more memory capacity choices, there are choices of having from 160GB to 320GB capacities. HP’s Mini 1103 comes with several processor options including the 1.66GHz Intel Atom N455 and 1.83GHz Intel Atom N475 processor. Other features on this netbook are 802.11b/g/n WiFi and Bluetooth 3.0 as connectivity features. There’s the choice of having a 6-cell battery options. It also comes with a 3 USB 2.0 ports, a VGA port, and a combination mic/headphone jack. The HP Mini 1103 will be released next year. Toshiba has just launched its latest Satellite laptop, the L630. The main attraction of this laptop is its wipe-able keyboard. We know sounds pathetic right? That’s what Toshiba has been promoting on this device. Well, nevertheless let’s check out the other features that this laptop brings in. The Toshiba Satellite L630 Notebook comes in a sturdy and dust resistant design. We don’t know why but Toshiba has been promoting the Satellite L630 as a family-friendly notebook. It’s mainly made for the young generation of today. This might be due to the fact that this notebook is shock resistant and free from dust. Toshiba’s Satellite L630 Notebook seems to be the perfect portable desktop computer for your family. It is powered by a 2 Ghz Pentium Dual Core processor from Intel. It comes with a 13.3-inch screen that runs on Windows 7 Home Premium operating system. It comes with a 2GB DDR3 RAM and 250GB HDD. It’s hard to keep track of all these laptops being launched. Especially those that are upgraded models. Toshiba is one such brand that likes to keep upgraded the same models with better configurations for its users. Today we have Toshiba’s line of L675 laptops that are basically aimed at those who are looking forward to having a versatile mobile computing experience with a large HD widescreen display. The Toshiba Satellite L675-S7048 is a 17.3-inch Intel Core i3 Laptop. It comes with an array of interesting features. One such feature is its Toshiba Media Controller that allows the users to share media between other devices as easy as drag-and-drop. Users can share videos, music and pictures in their home entertainment network to devices such as other laptops and Xbox 360 consoles. Toshiba’s Satellite L675-S7048 comes with a 17.3? HD+ LED back-lit (16:9) display. It is powered by a 2.4GHz Intel Core i3-370M dual core processor and Intel HD graphics. Other features on the laptop include built-in stereo speakers with Dolby Advanced Audio, 4GB of DDR3 RAM, a 500GB hard drive, an 8x SuperMulti DVD drive, Wi-Fi b/g/n, LAN 10/100, VGA, 3x USB, 1x USB/eSATA and 6-in-1 card reader.